With a net worth of more than $86 billion, Bill Gates is known for being one of the richest people in the world. But there’s a lot more you probably don’t know about the Microsoft co-founder. Gates was born in Seattle in 1955 and discovered his passion for technology early on. In school, he met long-time friend and future co-founder Paul Allen. Together, they launched another small-business venture before coming up with the idea for Microsoft. Until he realized his desire to pursue computers, Gates had planned to become a lawyer and studied pre-law at Harvard. 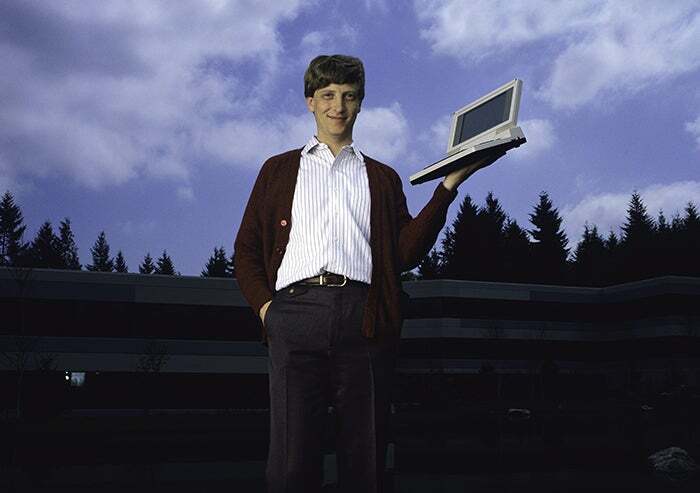 He eventually dropped out, launched Microsoft and met his employee and future wife, Melinda. Today, Gates is not only a self-made billionaire and tech leader, but he’s also a philanthropist, an author and even a knight. Check out these 27 surprising facts about Bill Gates. 1. Gates developed his first computer software program at 13 years old. After spending a few years in public school, Gates later attended the Lakeside School, a private preparatory school in Seattle. It was there that Gates discovered his passion for computer programming and met Paul Allen, who became his close friend and later Microsoft co-founder. He also developed his first computer software program at age 13. Using BASIC computer language, the program was a tic-tac-toe game in which players could compete against the computer. 2. Gates fixed his high school’s class scheduling software so he was in all-girls classes. The Lakeside School recruited Gates to help code its class scheduling system. 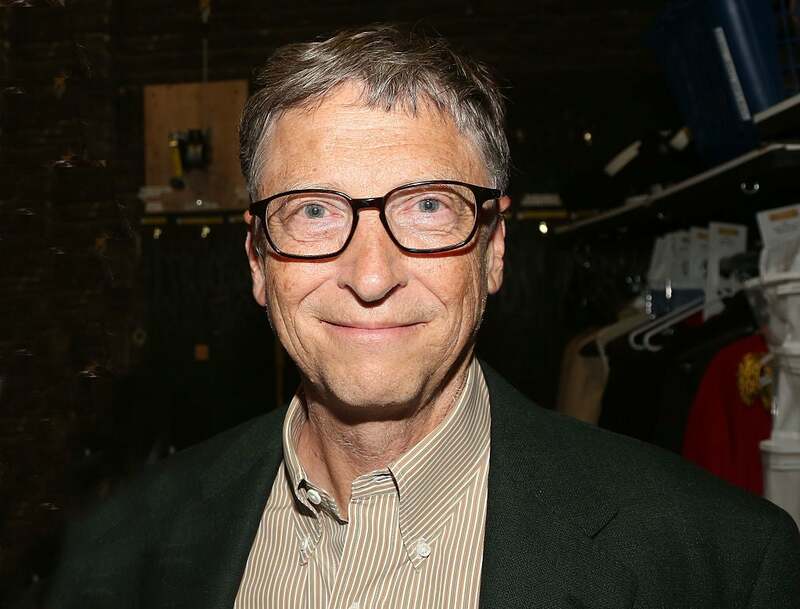 Gates took advantage of his new task and his coding abilities, and he and his long-time pal and later Microsoft co-founder Paul Allen tweaked the school’s scheduling software and placed Gates in all-girls classes. "Paul did the computer scheduling with me. Unfortunately for him he was two years ahead of me and he was off to college by then. So I was the one who benefited by being able to have the nice girls at least sit near me,” Gates shared with BBC. 3. Gates and Allen formed a business partnership before Microsoft. From the moment they met in middle school, Gates and Allen became friends -- likely because of their common interest in computer programming. While in school, the two formed a company called Traf-O-Data. They put together a small computer based on an Intel 8008 chip that measured and analyzed traffic data for the Washington state highway department. Gates and Allen made about $20,000 from the venture, but it slowly dissolved as Allen went on to work for Honeywell in Boston and Gates enrolled at Harvard. 4. He almost had a perfect SAT score. It’s hardly shocking that the genius got a near-perfect score on his SATs. Gates scored a 1590 out of 1600 on the college entrance exams. 5. Gates originally studied law in college. In 1973, Gates began studying pre-law at Harvard University, planning to follow in the footsteps of his lawyer father. Although by his sophomore year, Gates’s plans changed and he began taking some of the school’s most rigorous math and science courses. Then, two years into his Harvard career, Gates dropped out to pursue Microsoft. 6. Gates was arrested twice for his driving. In 1975, in his Porsche 911, 19-year-old Gates was arrested for speeding and driving without a license. But he didn’t learn his lesson -- two years later, Gates was arrested again in Albuquerque, N.M., for another traffic violation and for driving without his license. There’s speculation that the generic user icon in Microsoft Outlook 10 is actually a silhouette of Gates’s mugshot. 7. His wife, Melinda, used to work for him. After graduating from Duke University in 1986, Melinda Gates landed her first job at a startup -- Microsoft. “I just thought, ‘Oh my gosh. I have to work at this company. They are changing the world. And if I get an offer, there’s no way I’m not going to take it,’ ” Melinda told CBS News. Melinda scored the job, and shortly into her time working there, she made a great impression on the boss. 8. He was once the youngest billionaire ever. Gates made his first billion in 1987 at the age of 31, making him the youngest billionaire ever at that time. 9. On his wedding day, he rented out every room at the hotel. To ensure privacy, Gates rented out all 250 rooms at the Manele Bay Hotel in Lanai, Hawaii, where his wedding party was staying. At the time (1994), Gates was the second-richest person in America. Taking an extra precaution to keep the media and paparazzi from flying overhead, Gates reportedly hired all of the helicopters on Maui, too. 10. He used to memorize his employees’s license plate numbers to keep tabs on them. You’d think a simple punch card or check-in system might suffice -- not for Gates. Gates memorized the license plates of his employees so he would know when they arrived at and left work. “I knew everyone's license plate, so I could look out in the parking lot and see when did people come in, when were they leaving. Eventually I had to loosen up, as the company got to a reasonable size,” he revealed in an interview with BBC Radio 4's Desert Island Discs program. 11. Gates bought Leonardo da Vinci’s Codex Leicester manuscript for $30.8 million. Besides his private plane, Gates’s other big splurge was Leonardo da Vinci’s Codex Leicester manuscript, which dates back to the 16th century. In a 1994 auction, Gates won the manuscript for $30.8 million, making it the most expensive book in the world. Gates sometimes puts the book on loan to museums. 12. In 1995, Gates became the richest man in the world. In July 1995, at 39 years old, Gates became the richest man in the world with a fortune of $12.9 billion. He has since lost that title a few times, but he held the top spot on the Forbes World’s Billionaires real-time ranking in March 2017. 13. He got pied in the face during a trip to Brussels. During a 1998 trip to Brussels, Belgium, Gates was on his way into a meeting with more than 400 Belgian educators, business leaders and government officials. Upon entering the building, Gates was struck in the face with a pie. After the incident, Belgian prankster and personality Noel Godin took responsibility for the prank, and Gates didn’t press charges. "The pie wasn't even that good," a Microsoft spokesperson reported Gates as saying. 14. 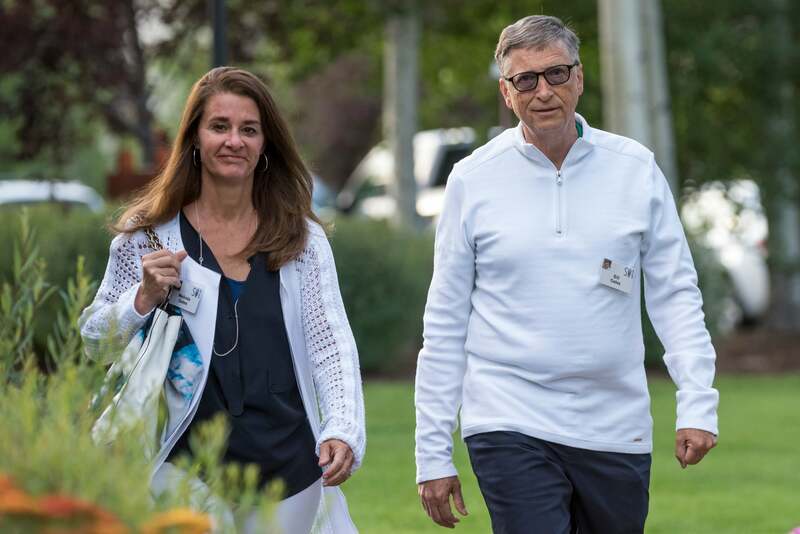 Bill and Melinda Gates run the largest private foundation in the world. The couple launched the Bill and Melinda Gates Foundation in 2000. With donations from major investors, public figures and celebrities such as Warren Buffett, Hillary Clinton, Madeleine Albright, Jack Nicklaus and Big Sean, it has become the largest private foundation in the world. In 2015, it reported a $39.6 billion trust endowment. 15. He was knighted by the Queen. In 2005, Gates received an honorary knighthood from Queen Elizabeth of England for his charitable work and achievements in technology. Gates and his wife, Melinda, met the Queen and the Duke of Edinburgh at Buckingham Palace for the ceremony, during which he received his “KBE” title -- Knight Commander of the Order of the British Empire. Gates is unable to be referred to as “Sir” because he is not a British citizen. 16. The number-one thing on his bucket list is not dying. 17. His bedtime routine involves reading … and washing the dishes. Even the richest man in the world makes time to complete his house chores. In a 2014 Reddit AMA, Gates shared that he washes his family’s dirty dishes every night. He even finds the task enjoyable. “Other people volunteer but I like the way I do it,” he said. In addition to washing the dishes, another part of Gates’s bedtime routine involves reading for an hour. Even if it’s late into the night, he makes sure to get in a solid 60 minutes before bed, because for him, “It’s part of falling asleep,” he once told The Seattle Times. In their 2016 annual letter, Bill and Melinda shared the superpowers they wished they could have. The first things to come to mind for the average person might be x-ray vision, invisibility or time travel -- but Melinda and Bill said they wanted more time and more energy. 19. Bill and Melinda Gates’s favorite number is 122 million. 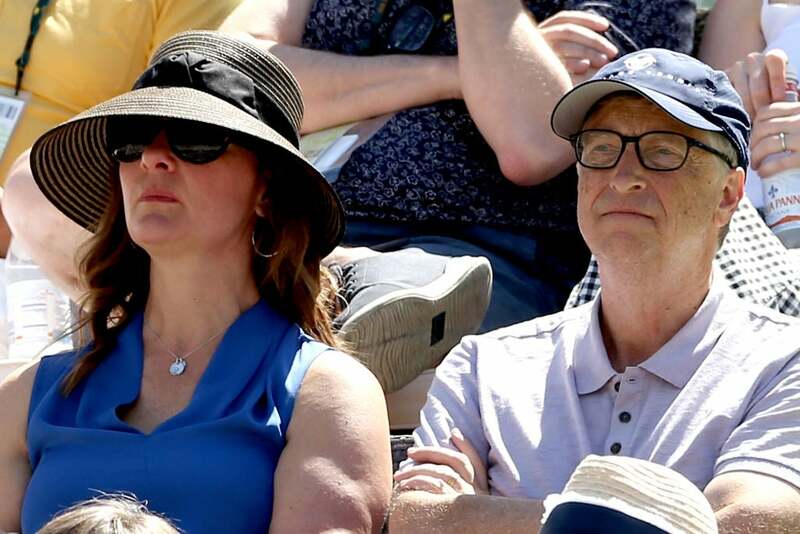 In their 2017 annual letter to Warren Buffett, who donated a chunk of his fortune to the Bill and Melinda Gates Foundation, the couple wrote that 122 million is their favorite number. It is the number of children’s lives that have been saved since 1990 as the mortality rate has declined. 20. To disguise himself, Gates wears a hat. To ward off any unwanted attention, Gates resorts to an old-school tactic -- wearing a hat. During a 2017 Reddit AMA, Gates was asked if he ever disguises himself in public. 21. Bill and Melinda Gates are giving $10 million to each of their kids. As of March 2017, Forbes reports Bill Gates’s net worth to be $86.6 billion. That’s why it comes as a surprise that he and Melinda are planning to give only $10 million to each of their three kids. It’s a massive figure to most of us, but it’s pocket change for this billionaire. 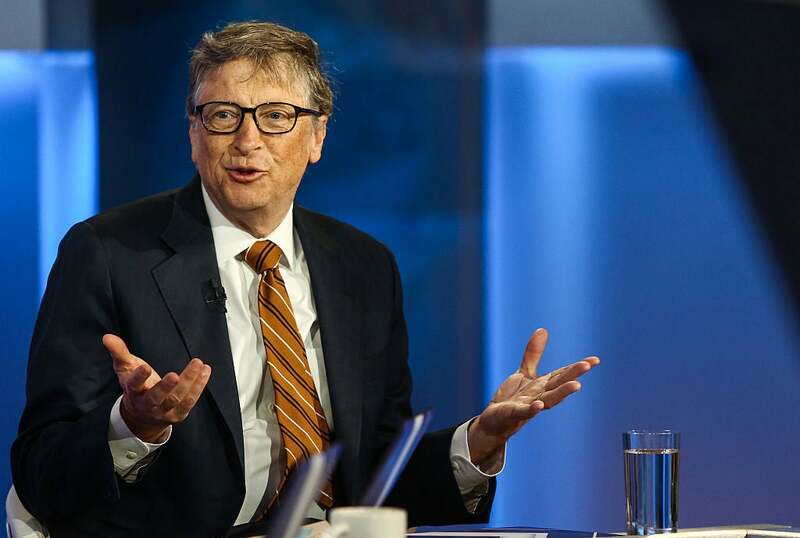 Most of the Gates’s fortune will go to charitable foundations, including their own Bill and Melinda Gates Foundation. During a visit to the Ellen Show, host Ellen DeGeneres put Gates through his paces to see if the billionaire, who by all rights is very knowledgeable about the state of the world, could guess the prices of everyday grocery items. When was the last time the Microsoft founder set foot in a store to do his own shopping? “Long time ago,” he admitted. Spoiler alert: He very sort of passed the test, with a little help from the audience. 23. He typically doesn’t do big purchases, with one exception. 24. He wishes he had been more socialable during college. During an April 2018 Q&A session at Harvard, which Gates dropped out of in 1975, a student asked the Microsoft co-founder: "What is something that you regret doing, or maybe not doing, at Harvard?" The billionaire responded, "Well, I wish I had been more sociable." He added, "I wish I had gotten to know more people. I was just so into being good at the classes and taking lots of classes." He also revealed that Steve Ballmer, who would become CEO of Microsoft after Gates stepped down, would drag Gates out to party. "I was so antisocial I wouldn't have even known they existed, but Steve Ballmer decided I needed some exposure to, I guess, drinking," Gates said. "So, I would go to those events and that was highly educational." 25. Mr. Gates Goes to Washington? In a recent interview, the entrepreneur and philanthropist shared that during a conversation with President Donald Trump around the potential for a universal flu vaccine, he got an unexpected job offer. “I mentioned: ‘Hey, maybe we should have a science adviser,’” he recalled in conversation with science website Stat. “He said: Did I want to be the science adviser?” In the end, Gates courteously had to decline. “That’s not a good use of my time,” he said. 26. He thought about getting into politics. Gates's dad was a lawyer, and the Microsoft co-founder considered following in his footsteps when he was in high school. In 1972, when Gates was 16, he spent the summer in Washington, D.C., to work as a congressional page. He was tasked with delivering legislation to the floor of the House and documents to the offices of various congressional representatives. The experience ultimately gave him the clarity to realize that the world of politics wasn’t for him and led him down the path of pursuing business and technology. 27. He has some serious real estate. Gates has a home in Medina, Wash., called Xanadu 2.0, named after the mansion belonging to the title character in Citizen Kane. That fictional estate was relatively luxurious, and Gates’s is no slouch in that department. It took seven years and $63 million to build the 66,000 square foot space, which houses a reception room, six kitchens, 24 bathrooms, a library with rare manuscripts, a home theater, a trampoline room and a stream that’s home to salmon and trout. Plus, computer screens around the house can display any artwork you’d like.